Premier performers, athletes and leaders share the stage at our many iconic venues. Don’t miss what’s coming up downtown. Don’t miss a beat. Sign up for weekly updates and happenings. Tap into the booming, vibrant culture of downtown Nashville, where you’ll find big city ideas with a small town vibe. Employee recruitment and retention is on the rise almost as fast as our skyline. 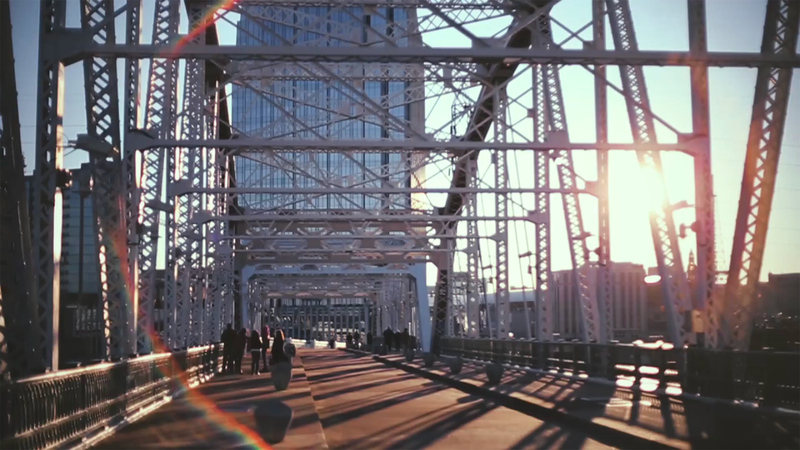 Help us make Nashville the best place to live, work, play and invest. Wake up downtown and never miss a beat. Nashville’s urban center brings natural beauty of the river and unmatched access to our world class venues and events. Park, walk, bike, ride around downtown. We can help you get where you’re going. Join us today for our 16th Annual Downtown Home Tour! The tour features private residences, condos for sale, apartments for rent and model units. Ten downtown buildings are on the tour. Tour tickets are only $10 and can be purchased beginning at 11:45 am today from our office: Nashville Downtown Partnership (corner of 4th & Commerce). Parking is FREE in the Commerce A and Commerce B garages. You will get a parking validation when you buy your home tour ticket at our office. More details about the free parking, all of the buildings on the tour and more in the link in our profile. Tag a friend who would enjoy the home tour today! This gorgeous apartment at 227 2nd Avenue North is available for rent and featured on our Downtown Home Tour tomorrow afternoon. It has exposed brick, modern bathrooms, a contemporary kitchen and gorgeous hardwood floors. Head downtown tomorrow for the home tour to check out this place and nine other buildings. The fun starts at noon. Tickets are only $10! Link in profile has more info. Just two days away! Our downtown home tour is on Sunday, April 14. If you are looking for an apartment be sure to check out @residencesatcapitolview. Their apartments are beautiful as are the skyline views. Get more details about the tour through the link in our profile. TICKET GIVEAWAY: Our downtown home tour is this Sunday from noon to 5 pm. Tag a friend in the comments to be entered to win two FREE tickets to the tour. We will announce the winner on Friday, April 12 at 3 pm. Lofts at 160 is an apartment building located on historic 2nd Avenue North. Featuring exposed brick, an atrium with tons of light and beautiful views of the Cumberland River. Check this building out during our #downtownhometour on Sunday, April 14. Link in profile with more details. Tour @solisnorthgulch this Sunday as part of our Downtown Home Tour. Solis North Gulch has gorgeous apartments, amazing amenity areas and a beautiful pool. Need more details about the tour? Click the link in our profile.